We are renowned as the most popular organization for providing Ball Mill to our customers, worldwide. We have in house production unit for manufacturing Ball Mill at industry-defined parameters. Made from stainless steel, our Ball Mill is accessible in different capacities varying from one kilogram to hundred kilograms. 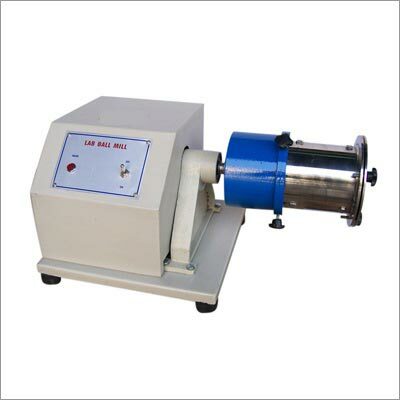 We nominally priced our Ball Mill so that the buyers can easily afford it. The warehouse of our company also comprises a range of highly efficient Ball Mill, which is very suitable for fine mixing with color in Chemical and Paint Industries. We are capable of producing this machine in bulk. Finely fitted with a reduction gearbox and a 2 HP 3 Phase Motor, this unit give optimal performance and can be utilized for long life term.